You don't need to be a ghost hunter to encounter Oregon's haunted places; even Oregon State University is rumored to have ghosts. So if you're fascinated by ghosts and hauntings and want to find spirits out west, where do you look? Whether you're dining, camping, wine tasting, or sightseeing, there are plenty of ways to encounter spirits in Oregon. Sometimes a town has so much ambience, television uses it as a filming location. 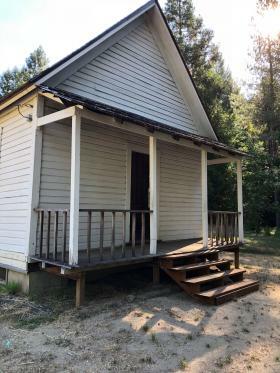 That's exactly what happened when the television show Gunsmoke filmed in the abandoned ghost town of Golden, which sits in Southwestern Oregon in Josephine County a few miles from Wolf Creek. The show left behind its prop graveyard, which remains just outside the tiny abandoned church in the heart of the four building ghost town, and it adds a scenic touch to this well-preserved site that's on the National Register of Historic Places. Fake graveyards aside, Golden, which at its peak had about 100 residents, may have people who have remained years after their death. The television show Ghost Adventures filmed in Golden, exploring claims of paranormal activity that have intrigued many local ghost hunters. Entities have been reported around the site and in three buildings: the school, the church, and the general store. People see shadows, hear strange sounds, and notice feelings of unease and discomfort. To get to Golden, travel along Coyote Creek Road from Wolf Creek (which is just off Interstate 5). Park anywhere along the side of the road; there's no fee to visit. You can enter the church and the school during daylight hours, but the other two buildings aren't open to the public. While you're there, take a peek on the back outside wall of the schoolhouse to spot name carvings of students from more than a century ago. Wolf Creek Inn is a haunted historic inn and restaurant in the town of Wolf Creek that was a favorite of Clark Gable and Jack London. While you're there, you can take a self-guided tour that includes the inn's haunted history. Jacksonville is a Gold Rush town with so many haunts, there's a local haunted walking tour. The Oregon Vortex House of Mystery is a tourist attraction with all sorts of claims of unusual phenomena including ghosts. 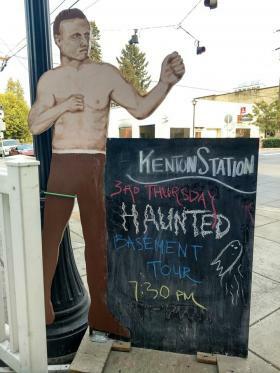 If you happen to be in Portland on the third Thursday of the month, you may want to check out the Kenton Station haunted basement tour offered by White Light Paranormal Insight. The tour is free, the history is interesting, and the food is good, so plan to arrive early for a meal. Built in 1909, the station became known for its speakeasy and underground boxing ring located in the basement, which was connected through a series of underground tunnels to the criminal underworld of the town of Kenton (now a neighborhood in North Portland). Kristen Gray, who leads the tours every month, has had plenty of encounters both on tours and investigations in the notoriously haunted basement. 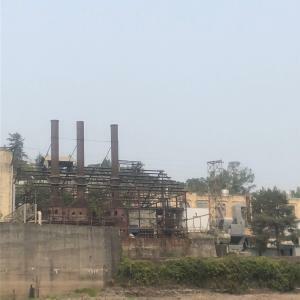 Among the claims Gray shares with tour takers are shadowy figures, disembodied voices, and possible photographs of apparitions captured by White Light team members and tour goers. Kenton Station is located at 8303 North Denver Avenue in Portland. The restaurant is open daily and haunted tours are on the third Thursday of every month starting at 7:30 p.m. Wear sturdy shoes for the tour and expect to get a little dusty. You can visit other public places with reported hauntings in the area, including Cathedral Park under the Saint John's bridge. It's said to be haunted by the apparition of a girl. Rocky Smith is a lifelong resident of Oregon City, and he's passionate about preserving its history. With that history, Smith discovered, may also come hauntings. In fact, so well-known are the hauntings in Oregon City, the town that sits at the end of the Oregon Trail, that Smith has a company offering ghost tours of the various haunts. The ghost tours take walkers all over town, covering some of the town's well-known haunts. Smith became interested in the town's ghosts when he went to work as a teenager at the historic Ermatinger House. There, he had many encounters with spirits including some that moved items in the house. Convinced he needed to tell their story and preserve the history, Smith became a passionate advocate for the history and hauntings in Oregon City, eventually founding Northwest Ghost Tours and offering detailed walking tours of the haunted downtown area, local haunted historic homes, and places along the Oregon Trail. Oregon City is located east of Portland along the Willamette River. Visitors can purchase tour tickets at Haunted Oregon City, located at 816 Main Street in Oregon City. The Oregon Coast is home to the state's oldest city, Astoria, as well as a host of ghost stories. One place that's open to the public is part of a coastal campground and park: Battery Russell at Fort Stevens Park. Located near Warrenton, the park itself covers 542 acres of what was once a military installation protecting Oregon at the mouth of the Columbia River. In 1942, a Japanese submarine fired on Battery Russell, although the installation never returned fire for fear of giving away their position. 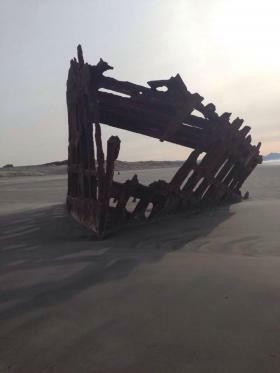 No casualties were reported, but a crater was found near the fort's resident shipwreck, the Peter Iredale, a merchant ship that ran ashore in 1906. Today, the wreck of the Iredale is marked by the ship's skeletal remains, and Battery Russell's impressive concrete buildings sit empty but for visitors to the park. 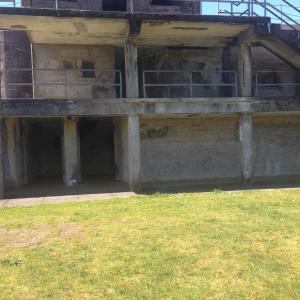 There are numerous reports of shadow figures, apparitions, and voices heard in the buildings at Battery Russell. When psychic medium and paranormal investigator Chuck Gotski visited Battery Russell a few years ago, he encountered a spirit named Seargeant Johnson who followed him throughout the abandoned battery. "As soon as I walked in, I felt as though someone was watching us. As we moved down inside the building, I started seeing flashes of a man in a military uniform with a stern look on his face," Gotski says. "I looked into the corner of the room and saw his face literally floating in the air." The shipwreck is also said to be haunted by spirits of those who perished when it ran ashore. Both Battery Russell and the Peter Iredale are located in the boundaries of Fort Stevens park near Warrenton off Highway 101 just south of Astoria. They are open to the public. Stop by the Flavel House Museum in Astoria, a mansion built by one of the city's pioneers that is believed to be haunted. 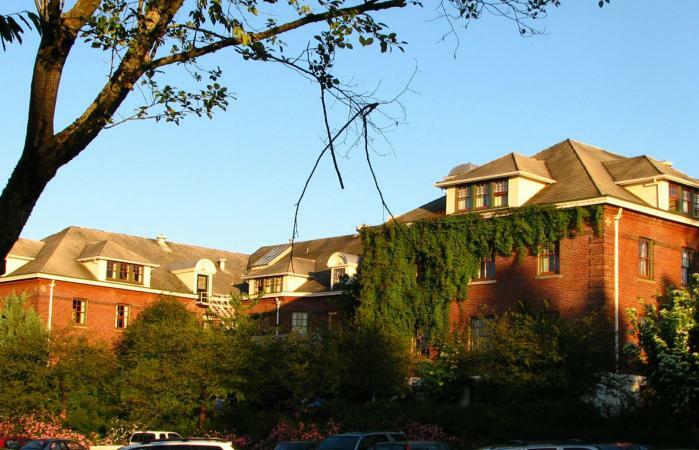 Also, head south to Seaside in early spring; ghost lovers will enjoy the Oregon Ghost Conference, an annual event held one weekend in March or April in the Seaside Convention Center. Get your ghost on as you enjoy ghost walks and investigations, listen to speakers, and take classes about the paranormal. What do you do if you love wine and ghosts? Check out the Argyle Winery, a haunted winery in the city of Dundee, Oregon in the heart of wine country. 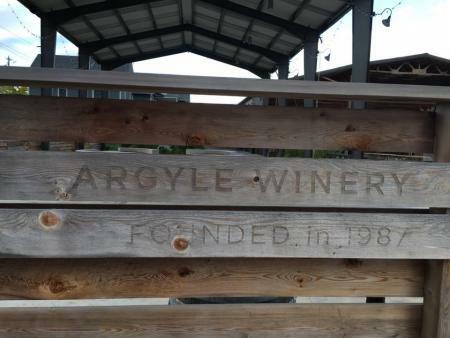 Argyle has embraced its haunted history, even naming one of its wines after its ghost, Spirithouse Pinot Noir. According to Argyle, employees often interact with their ghost, believed to be Lena Elise Imus who committed suicide on the property in 1908 by drinking carbolic acid. Employees share stories of poltergeist-like activity, such as items falling of shelves and electrical disturbances, as well as smelling the phantom scent of perfume. Argyle is located at 691 OR-99W in Dundee. Its tasting room is open daily from 11 a.m. to 5 p.m. and many of the employees are happy to discuss ghost stories. Stop by the Evergreen Aviation and Space Museum located in nearby McMinnville. It's home to Howard Hughes' reportedly haunted Spruce Goose. Cornelius Pass Roadhouse in Hillsboro. If you're near a McMenamin's and it looks like it's old, check it out. It just may have a haunted reputation. No matter where you are or what you're doing in Oregon, there's a good chance you're near a haunted location. Stop by any of these places and see what you might experience.